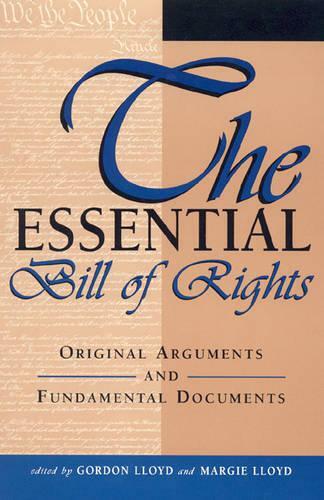 The Essential Bill of Rights: Original Arguments and Fundamental Documents provides the convenience of an affordable and accessible compilation of the original, essential documents and arguments that eventually led to the adoption of the Bill of Rights in the United States. Beginning with its origin in British covenant and common law, the book moves into the arguments for various forms of rights by prominent writers such as John Locke and Thomas Paine, and presents the arguments from those directly involved with the American quest for rights. The process of constitutional development follows as the individual states adopt constitutions, followed by the ratification of the United States Constitution. Details that led to the creation and acceptance of the Bill of Rights, including personal letters written by major figures conclude the collection. Highly recommended for all people interested in a compact overview of the origins of the United States.